While the basic cruise is suitable to all passengers meeting our basic criteria, some of the excursions may involve travel by zodiac (inflated excursion boats). Members should be in good physical health and be fully mobile to entirely enjoy all aspects of this cruise. Waitlisted! Email Mayrela to join our waitlist! Iceland is one of the most popular destinations in the world. 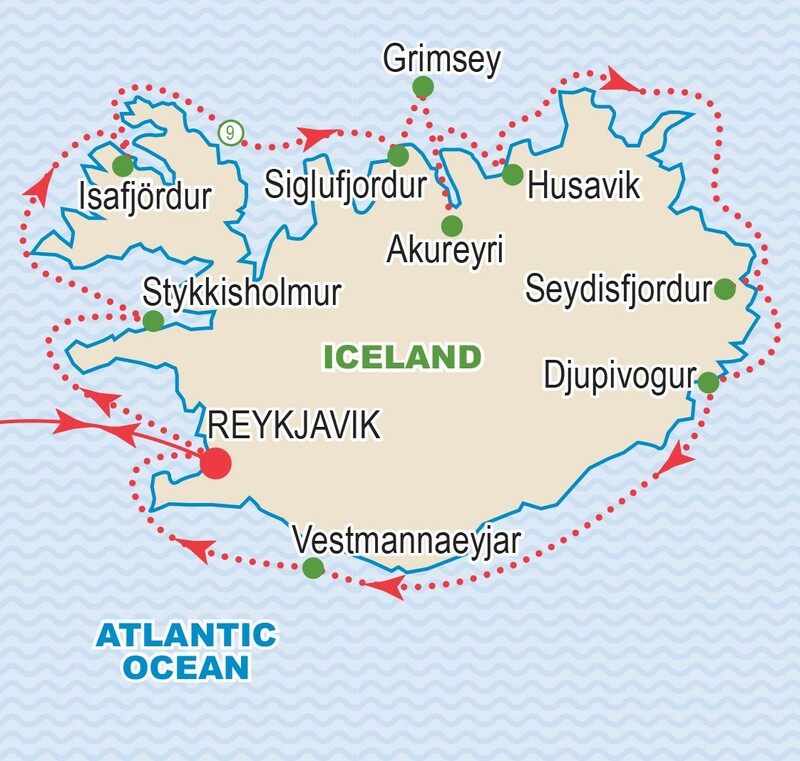 After the success of our previous Icelandic cruises, we are extremely happy to offer this special voyage that features a complete circumnavigation of the island with some of the world’s most beautiful scenic cruising. This sailing also highlights many of the important and seldom visited ports. The ms Ocean Diamond is small enough to dock in remote ports while large enough to ensure all of our creature comforts are met, the best of both worlds. You must act now! Our very special rates are only available until January 31, 2019. After that date, the cruise prices will increase by up to $2,380 per person. Call us today to book your places on this exceptional value cruise. Group members from across Canada gather in Toronto for our direct Icelandair flight to Reykjavik. Upon arrival in Iceland, we transfer into the capital where we will enjoy a breakfast at a restaurant in the city centre. Enjoy a short city tour highlighting the landmarks of Reykjavik before going on a Golden Circle Tour. 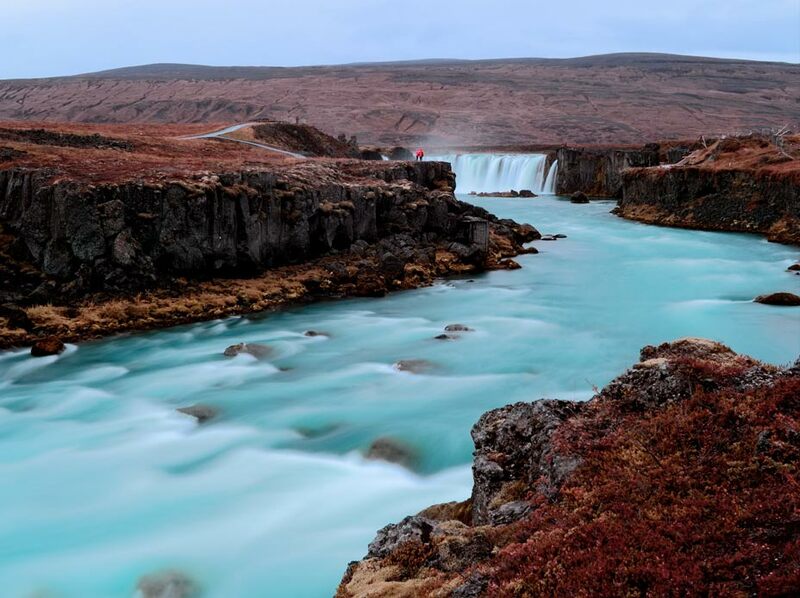 Visit the world famous Geysir area and the breathtaking Gullfoss waterfall. 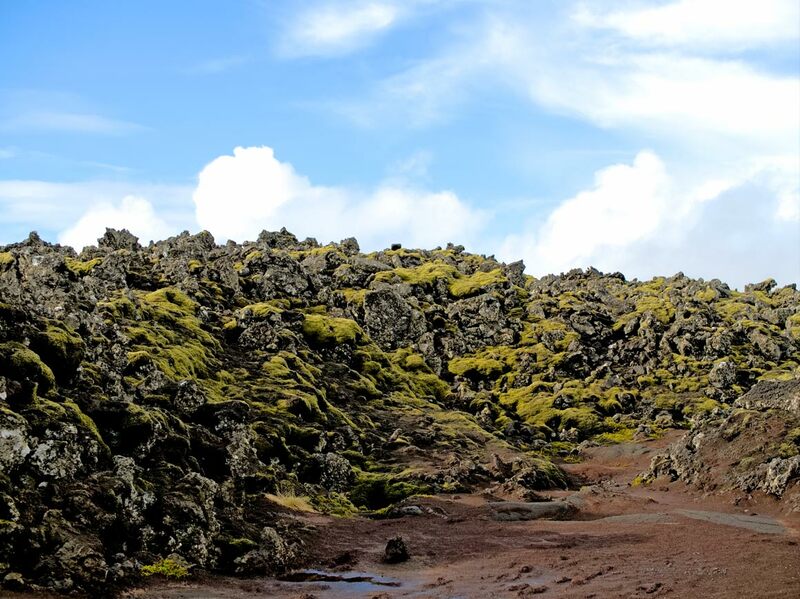 Take in the sights of Thingvellir National Park and the hot spring of Nesjavellir before embarking our ship. The ms Ocean Diamond docks are in Old Reykjavík Harbour, in the heart of the city. They are only a five minute stroll to the main squares, shopping and dining. We begin our exploration of Snaefellsnes Peninsula from the cheerful town of Stykkishólmur in West Iceland. The peninsula is dominated by Snaefellsnes National Park which represents nearly every type of nature seen in Iceland. Adventurous spirits may opt to join an expedition to Snaefellsjökull glacier which sits atop a 700,000 year old dormant volcano and served as the mystical entrance to earth’s interior in Jules Verne’s novel, ‘Journey to the Centre of the Earth’. Alternatives include an optional excursion by coach, touring around the peninsula or a boat cruise exploring Breidafjördur‘s countless islands, viewing the vast variety of bird life and sampling fresh seafood from the bay. Today‘s destination is Isafjördur, honorary capital of the Westfjords. This secluded peninsula is connected to the mainland by a narrow strip of land and includes areas where cars have never been. The landscape provides jawdropping views of dramatic fjords carved by ancient glaciers, sheer table mountains plunging into the sea and untouched vegetation. 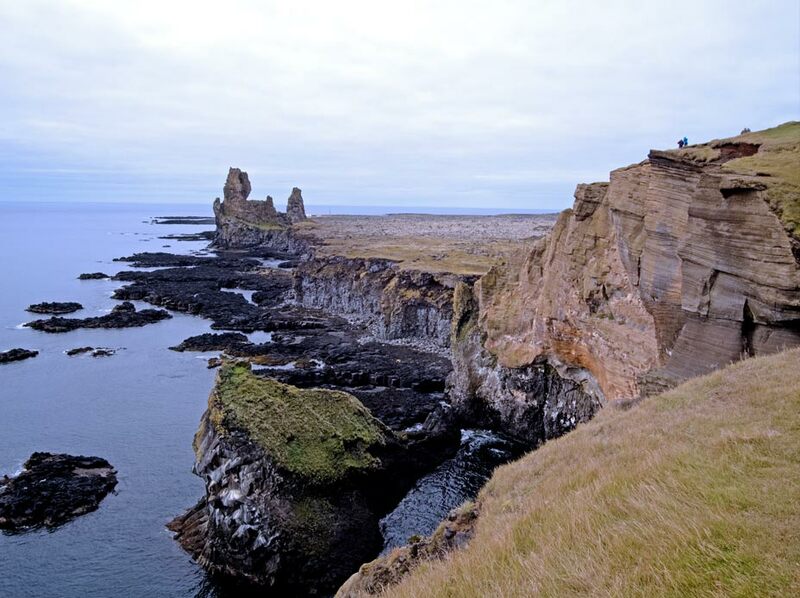 Enjoy the rarity of pure silence and the tranquility of nature while sea-fishing or watching thousands of puffins on the tiny island of Vigur, or visiting the massive cascade of Dynjandi waterfall. uninhabited Grimsey Island. Located about 25 miles (40 km) off the mainland on the Artic Circle, the island harbours a variety of bird species including puffins, guillemots and gulls. Later we set sail for Akureyri, Iceland’s lovable second largest city. While docked in the port of Akureyri you will want to explore nearby Lake Mývatn Nature Reserve. Visitors are mesmerized by the area’s schizophrenic landscape where it seems as if “heaven and hell” have clashed. One side of the lake features rugged remnants of volcanic activity, while the other side of the lake is fertile with lush greenery and varied bird life. 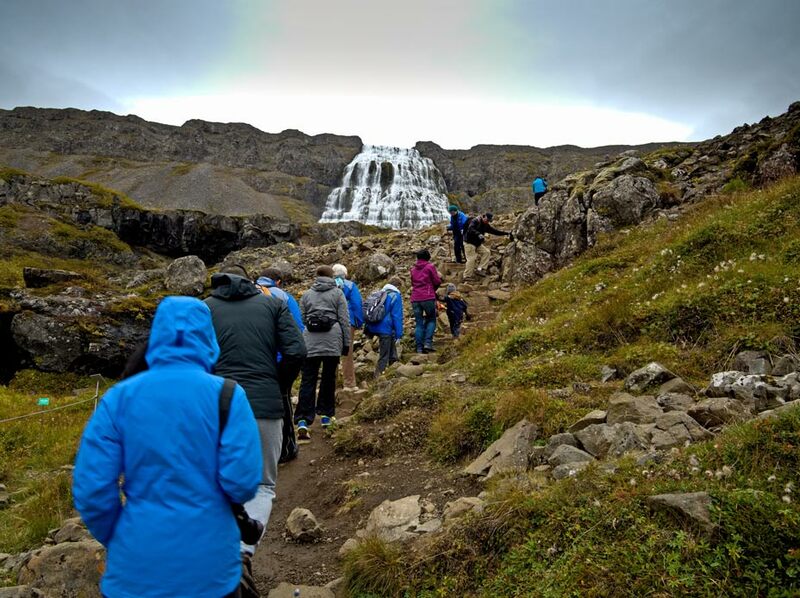 Shore excursion options include coach tours of the region featuring Godafoss Waterfall along with some very dramatic scenery. experience. Options here include exploring the bay in search of whales by fast moving rib boats or a coach tour to see the horseshoe shaped Ásbyrgi Canyon as well as Europe’s most powerful waterfall, Dettifoss. Iceland’s largest wooden area and basal columns. You may also want to explore Skálanes Nature Reserve’s fascinating beauty on a coach tour. awe-inspiring lagoon features icebergs of all shapes and sizes tumbling and floating about in a spectacular show. The more adventurous can take a super jeep excursion or go for a ride on the glacier on a snowmobile. Located off the coast of South Iceland, the island group Vestmannaeyjar was formed by submarine volcanic eruptions 10,000 years ago. Surtsey Island emerged from the sea in 1963 and is one of the youngest places on earth. We go ashore on Heimaey, the only inhabited island of the archipelago. Here the evidence of Iceland’s volcanic fury is on full display with half-buried houses in ash from a violent eruption in 1973 when the entire island had to be evacuated. An epic experience here is to play a round of golf in a sunken volcanic crater. In the morning we return to Reykjavík. After breakfast we say farewell to the ms Ocean Diamond as we disembark. We transfer to the famous Blue lagoon pools where we have an opportunity to enjoy the mineral-rich geothermal pools before transferring to the airport for our flights back to Canada. facilities with shower and provide views of the sea (port holes or windows). They are very comfortable in size (182 - 204 square feet). 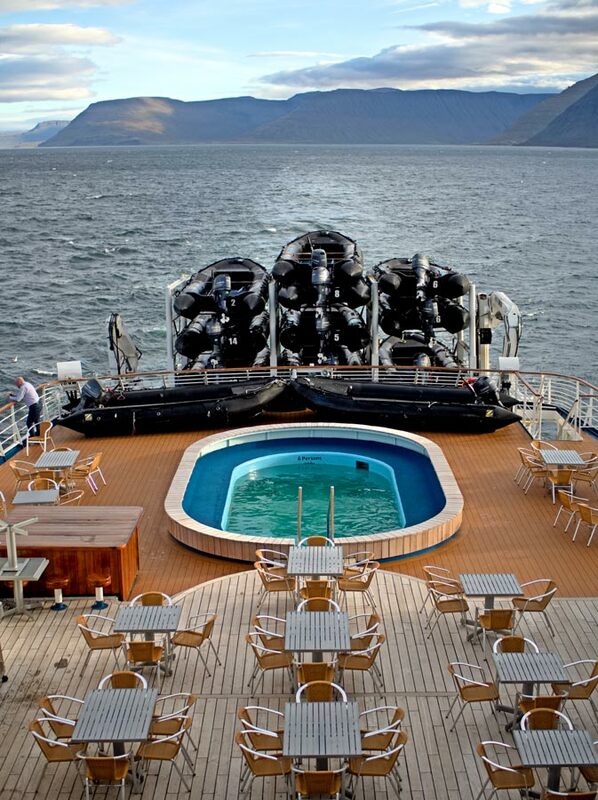 The ship’s Zodiacs are used for excursions and landings, providing exceptional close up views, exploring the bays and waterways around Iceland. After a busy day of exploration, we can enjoy the wellstocked library for books or DVDs or relax in the Observation Lounge for a drink while enjoying the spectacular Arctic scenery. Other stateroom categories may be available on request. Above rates are per person based on sharing the category chosen. See Deck Plan for full details on various categories available. Single rates are available on our website or on request. Prices are based on a minimum 15 members, on rates, taxes and fees effective June 2018 and are subject to change due to factors beyond our control. The cruise will be escorted from Canada with a minimum of 20 members enrolled. Airfares from other gateways are available on request. Air fees, taxes and carrier are subject to confirmation prior to final payment. Refer to Inclusive Features for details. Ontario - please contact our staff for procedures. Please discuss your insurance coverage prior to booking. Refer to our Terms and Conditions for more details.